Many young and start up churches and ministries find themselves in a struggle to furnish their sanctuary. This can be particularly challenging if the sanctuary serves multiple purposes while plans for enlarging the church are being developed. If you are a young or start up church and need seating you may want to consider worship-style church chairs as a start-up solution. Many churches will start with chairs in the sanctuary while they run a “pew fund raiser.” A very successful way to provide for pews in a church is to have families sponsor a pew. 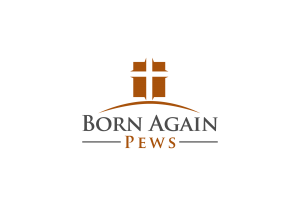 Born Again Pews will help you find the price-per-pew for this fund-raiser. We can even help you get the sanctuary chairs. The chairs can be moved into a fellowship area or classrooms once the pews are in place. This progression will show the members and visitors that your church is growing, in a very visible way. Babies being passed from lap to lap. Toddlers climbing across siblings to find Grandma or Dad. Children coloring together in the worship packet laid out on the seat between them. Older kids sharing a hymnal with a younger sibling and helping him or her to sound out the words. Friends sliding closer together on the pew to share news or a word of comfort. Sweethearts sitting together and enjoying the sound of God’s word together. Young married couples taking their place in the community as partners, secure in the support of the mature couples around them. Moms with their arms around their children. Dads sitting proudly with their wives and families. Older couples sharing the same pew with their grown kids and grandkids that they sat in with their babies and toddlers and teens. Single adults having the chance to sit together with their church family, having that essential human closeness. The most beautiful chairs don’t give you that opportunity to sit as close to others as you wish, to leave the amount of space that’s comfortable for you in your relationship with the others, to share and move through a space without the hindrance of armrests and seat edges. Think about that before you give up pews in your church. There’s something lost when you do.